September's fantastic Giveaway has been extended for a few days into October, so there's still time to enter! We will throw in another Prize: a Stainless Steel Dinghy Anchor!!!!! 10% off for everyone that plays.... and free shipping. That's a yet another Giveaway from Mantus worth over a thousand dollars. Thank you Mantus! Mantus Anchors bring to market a new line of boating anchors and bridle hooks. Mantus Anchors are designed to set in most challenging bottoms, and have outperformed their competition in numerous tests. 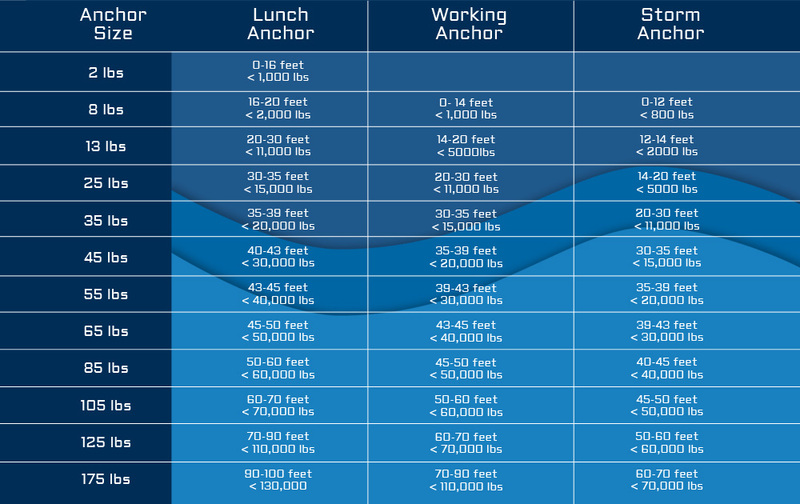 Further Mantus Anchors breakdown for easy storage. Mantus Hook is a locking chain hook, making it ideal for use on a boat bridles and snubers. Visit the site Mantus Anchors. Select the products you would like to buy with your store credit if you win (Copy the URLs). Paste the URLs into a post in this thread/discussion. That's all you have to do, so don't forget the links! Members must post a link back to Mantus Anchors to the goods they would buy with their Giveaway credit. Re: Sept Giveaway: Mantus Beats a Thousand Again! I'd like to buy the 85 lb. Mantus anchor. Thanks for this offer, Mantus. Thanks for offering all this, Mantus, and for supporting Cruisers Forum. You guys rock! I could use a 13-lb for a stern anchor, and a 25-lb for my bow. 85 lb stainless would be excellent. thank you Mantus...the 45 lb would look wonderful on our Prout Snowgoose catamaran...!! Thank you so much, Mantus. This anchor would be greatly appreciated! Thank you for sponsoring another giveaway. I'd like these. Love to have this one, Mantus. Thanks! A 65 galvanized should keep me in place and would be awesome. A Mantus like this one would be just about right. Great job to Mantus! Thank you for the opportunity to possibly win a quality product! A new anchor hanging bracket and a new bridle would be awesome.